One of the most admired cycles in engine technology today is the Atkinson cycle. There are some that have found ways to create a different way to get the efficiency desired from an excellent engine cycle. Volkswagen is leading the way with the new Budack cycle. This is a different take on the Atkinson model. It’s one that should give us the performance and qualities we want to enjoy. This new cycle does things only slightly differently. Every automaker is searching for ways to create more efficiency and performance from the engines they produce. If you take a look at what different brands have come up with you’re going to find a variety. We try to allow the internal combustion engine to continue to be the right way for us to get the power we want for a few more years. It seems that we are at a point in engine technology where only small changes are needed. This is to ensure we can move forward and offer an increased amount of what we’re looking for. If you’re familiar with the Atkinson cycle for combustion you know the intake valve is closed early during the compression stroke. This is to result in an increase in efficiency for the engine. The simplicity in the change to the Budack cycle is one that’s impressive. It’s amazing to think that it’s such a simple change to create the performance desired. During this cycle, the intake valve is closed early during the intake stroke. This is exactly the opposite of the Atkinson model. This is so that we can have an increase in a specified output and greater efficiency. This increase in efficiency is the result of the pistons not having to compress as much air. Under higher loads, the variable camshaft kids in to keep the valves open longer. 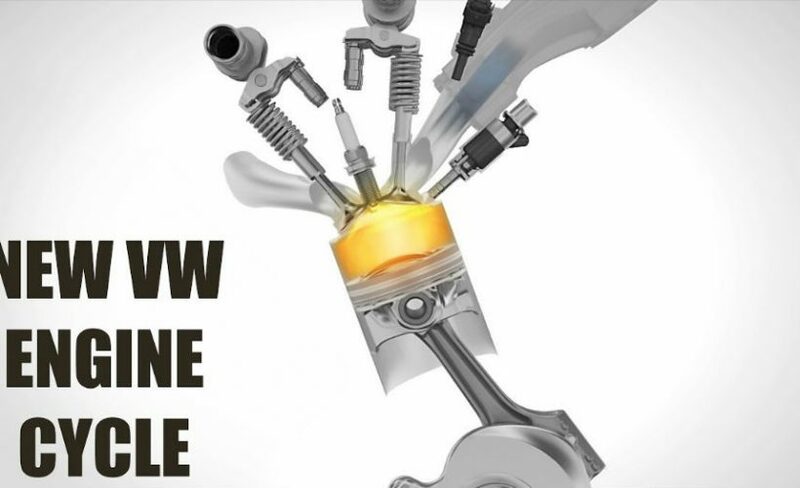 This is to allow for the improved performance you’ll enjoy in a VW model that has this new engine cycle. As you take a look at the video linked below you’ll be able to understand this new engine cycle. It is the right choice for Volkswagen. It will provide more efficiency for the drive offered on the roads when you choose the VW model that will work best for you. In the future, as an effort to continue to give you the opportunity to enjoy improved performance and drive you’re looking for, you’ll have these two cycles offered. It may even be possible in the future that we see an engine that can offer you both cycles in one engine to make sure you can have the best of both worlds and an even greater amount of efficiency and performance. Eventually, we can expect both of these cycles to be replaced by the hybrid and EV models that are going to be the future, but the fact that we have these two choices will keep the internal combustion engine around a bit longer.